I am often known between my friends for having a pretty good knowledge on music and having a fairly large storage of random facts. But whenever I don’t know something, the first person I go to is Monalisa Murray. She is a walking encyclopedia of music knowledge, which makes her an even more skilled DJ. Some years ago when I first interviewed her I called her the “Patron Saint of Music”. She would be just about everywhere at every great music event, and everyone from the security guard to the headline act on stage would greet her with open arms and a smile. She has worked in various capacities in music and her genuine support for people and serious love for music is what allows others to trust her sense of taste and standards. If Monalisa digs it, you can bet others will too. I wouldn’t doubt that there are some higher-ups that look to her for direction whether she knows it or not. In this episode Monalisa shares a wealth of stories from her lineage of native Los Angelenos, to dancing on Soul Train, doing music promo, and meeting some of the key figures that would influence music for years to come as she witnessed their growth. 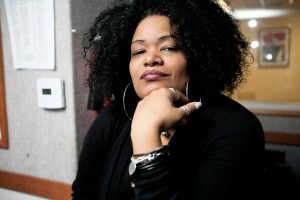 Whether it was Wu-Tang, J Dilla, Busta Rhymes, she has seen various levels of the game. She shares sage advice to those looking to break in, and we have a great time trying to stump each other with our jam picks! Other topics include: “That’s my part!”, KFC vs Subway, Freestyle Fellowship, The Good Life, music video cameos, songs that should die, 90s girl fashion, and saving souls.